If you want to experience an enthralling shopping experience, you can definitely head over to Brand Alley and shop for your wardrobe necessities or any other item. Brand alley is one of the best online shopping stores where you can shop designer clothes at their exclusive price range. Either it’s your regular clothes shopping or any grand occasion; you can now make a single stop at their site http://www.brandalley.co.uk and place your order according to your body shape and size.They have the best designer clothes for all the fashionistas out there at much discounted prices. They are taking the concept of hassle free clothes shopping to the whole new level with their easy accessing online mail order. 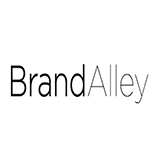 Brand Alley has in their stock some of the most famous and trusted brands in fashion, beauty items and home. Their massive brands collection includes Elemis, Jaeger, Lacoste, Michael Kors, Puma, Ray-Ban, Fitflop, Jimmy Choo and Gucci. Their most prominent feature is their best designer discounted clothes; you can use their exclusive Brand Alley discount codes and save your money. They are offering you 10% off on your first order which would be above £50 to make your shopping experience more enjoyable. Their promotion sale also offers some huge discounts when you take advantage of their promo codes. Brand Alley’s huge product range includes clothing for men, casual and designer clothing for women and kids, home ware shopping and of course some up to date beauty products. By availing their most exhilarating discount codes you can make savings at any time as their sales are truly said to be irresistible, everything which is available at their site they are selling it out on almost up to 80% off so that you can save big and still get your share of fashion.